The Hayterette- 36 Years Old And Still Going! 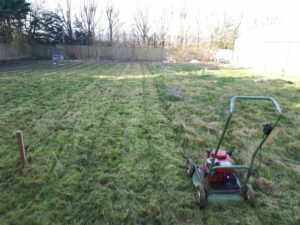 - Garden Equipment Review The Hayterette- 36 Years Old And Still Going! Home / Uncategorized / The Hayterette- 36 Years Old And Still Going! 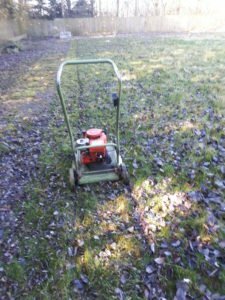 The Hayterette is a great little petrol lawn mower for cutting paddocks and overgrown areas, I like the simplicity of this machine, I purchased my Hayterette in 1983 and it is still running perfectly 36 years later! 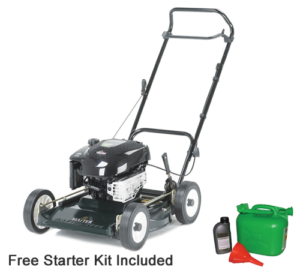 I believe that the Hayterette has been made for over 50 years, it is a very simple four-wheeled petrol mower and yet it does the job extremely well, with great cutting efficiency. There is only one downside to this lawnmower and that is the fact that you have to push it, but the great thing is it is so simple there really is very little to go wrong. 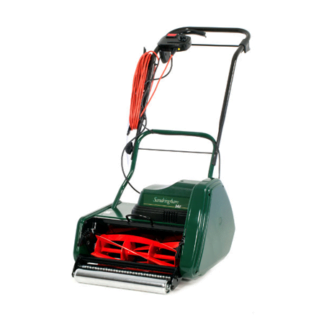 The Hayterette has an 18 inch (45 cm) cutting width which will almost tackle any type of grass however long it is. I have literally cut down long grass and stinging nettles, thistles and more that are six-foot high! (Almost 2 m high) The Hayterette will cut through long grass with ease and the easy set height adjuster enables you to cut very low if you are on a flat surface and high if you are in rougher overgrown areas. 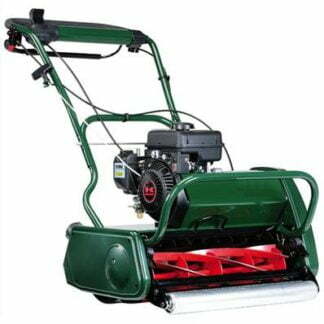 The Hayterette is powered by a Briggs & Stratton high-performance 190cc 650-Series four-stroke engine. The engine develops 4.5 hp and is exceptionally quiet. Starting the engine is through a very easy recoil start, there’s no need to choke the engine or prime before starting, very straightforward indeed. The Hayterette comes with seven different cutting heights, you can actually lower the machine right to its deck to stop it moving about during transport, however, I would still suggest that you strap this mower down before moving it any distance as I know how much things can move around when they’re on a trailer or in a van! Cutting height is from 13 mm to 70 cm which gives enough variation for every situation. The four swinging blades are very easy to change, they are simply held on with one lock bolt, the blades are double sided so they can be turned around once the edge has worn off one side. However, if you’re careful and respect your Hayterette, these blades should do many hours work without a change of blade. Always make sure that the area you are going to cut is clear of debris, I see far too many people running their lawnmower over obstacles like branches twigs and stones that very quickly blunt the blades. Taking a few minutes to clear the area a few minutes before you start cutting will keep blades sharp for a long time. I purchased my first and only Hayterette back in 1983 for a landscaping business that I was starting, I still have this machine today as the picture below shows. 36-year-old Hayterette still going strong! 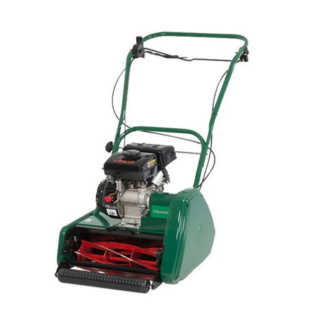 The machine is powered by a 5 hp Briggs & Stratton I/C engine, which is the original engine. It still works perfectly and generally fires up on the first pull! You can see my 36-year-old Hayterette cutting down some long grass a few weeks ago. One thing that I always make sure and do is to make sure and keep the oil clean, Briggs & Stratton recommend an oil change every 25 hours. I use a straightforward SAE 30 oil with no detergents. To me, it is much cheaper to pay for quality oil than to replace an engine. 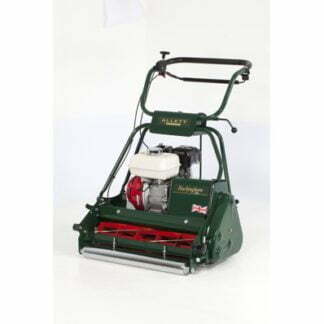 I think the best thing about the Hayterette is its simplicity, there really is very little to go wrong and providing the blades are sharp you will receive a good and effortless cut. I started using one of these machines before I left school, so I know that they will give you many hours of low maintenance mowing. 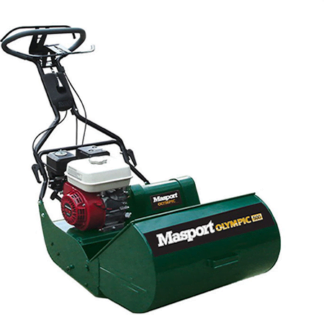 The only downside is that the machine doesn’t drive, providing you have not got acres of grass, this really is a great little machine to keep your grass under control. You can find out more about the Hayterette here.